We have already had the mid-range model, equipped with Nvidia’s GeForce GTX 1060 and a Core i5-7300HQ, in review. Now, it’ is time to take a closer look at the entry-level model, powered by the same Core i5-7300HQ Kaby Lake CPU (3,5 GHz, 45 W) but a slower GeForce GTX 1050 Ti instead. Storage-wise, it features a 128 GB SSD and a 1 TB HDD. This particular model’s biggest advantage is its low price - when on sale it can be found for less than $1,200 (without duties or taxes). Read our full review to find out how much slower this entry-level device really is, and whether or not there are other compromises you will have to deal with. 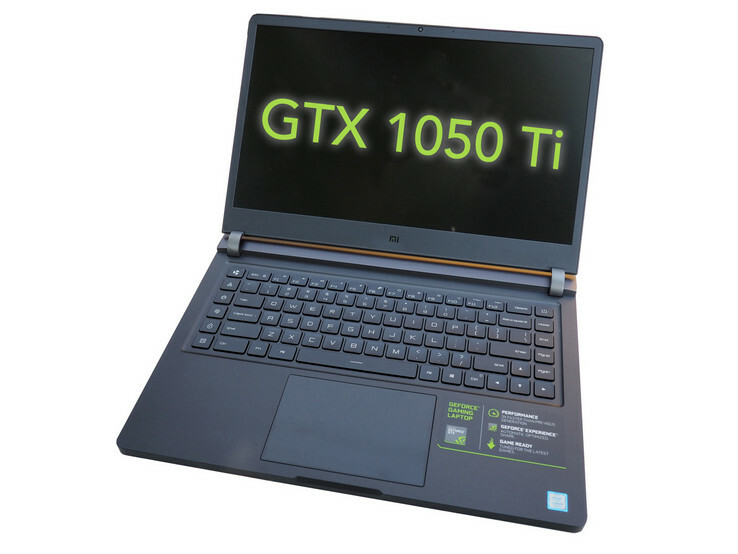 Given that we are going to focus primarily on the differences between this unit and the GeForce GTX 1060 model we highly recommend reading our review of the GTX-1060-powered Mi Gaming Laptop first. The case is just the same as on the other more expensive device, and we once again liked the clean design and the high build quality. The protruding hinges were very well-made on our second review unit as well, but our main concern about its long-term rigidity and stability remain. After all, the hinges only have a few points of contact with the display. As wjth the case the ports are identical between the two models. We still like their arrangement but mourn the lack of Thunderbolt 3 with Power Delivery. 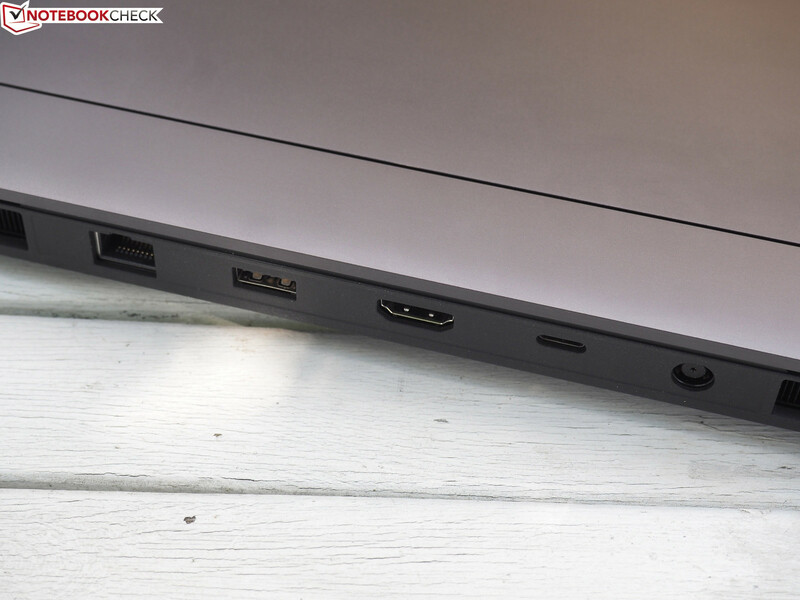 The backmost USB-C port still carries a DisplayPort signal, and it worked flawlessly with 4K60 using an Asus PB287Q display. The Intel 8265 Wi-Fi chip is identical to the more expensive model, and like before it performed below average. 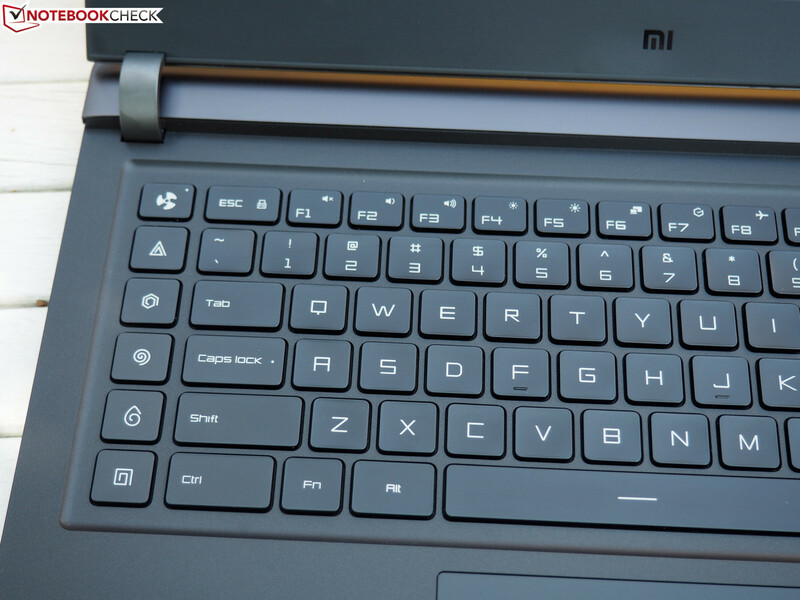 Our assessment of the device’s keyboard and touchpad remains unchanged. We still love the keyboard but had trouble with the extra keys on the far left, which led to accidental key presses (ESC key). The ClickPad lacks dedicated mouse buttons, but it was very smooth and large. Additional information can be found in our more extensive review. Our review unit featured the same BOE NV156FHM-N61 (BOE0747) panel as the GTX 1060 model, only this particular unit was 11% brighter (300 nits). 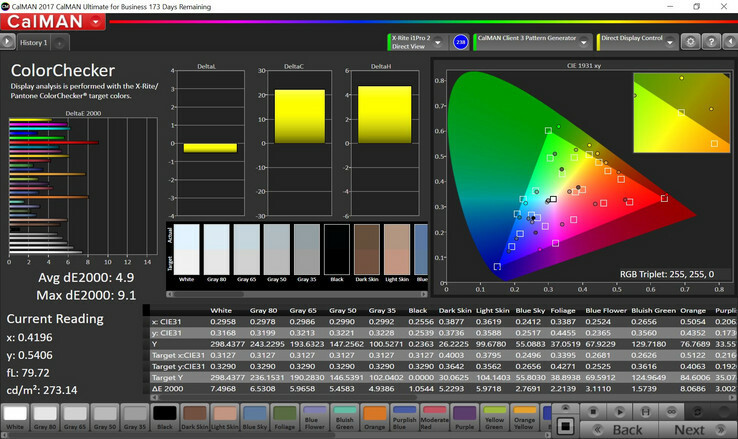 The remaining measurements returned almost identical results, for example an average DeltaE deviation of 4.9 for colors. Further information can be found in the GTX 1060 review, which also contains information on the display’s slow response times. Let us get to the most interesting part of this review: the entry-level unit’s performance. As already mentioned the main difference between the more expensive model and today’s review unit is the GPU. Instead of the faster GeForce GTX 1060 our review unit featured a GeForce GTX 1050 Ti. The processor (i5-7300HQ), RAM (8 GB DDR4-2400), and SSD (128 GB Samsung PM871b) have remained the same. 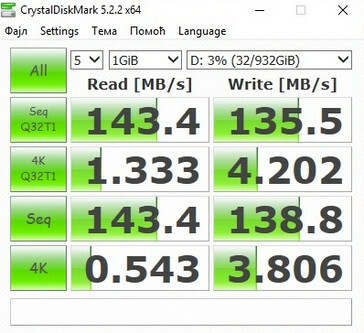 The extra hard disk drive differed between the models, but did not really affect performance at all. It probably depends on the production batch what exact hard drive you get. The Core i5-7300HQ processor performed similarly to the GTX 1060 model. Its Cinebench R15 multi-thread score was average overall, and it scored slightly below average in the single-thread test. Our Cinebench R15 loop proves once again that the cooling system is amply dimensioned for the Core i5. Running PCMark to determine system performance is the first time that we can actually see a difference between the two models. Our review unit ended up being between 6 and 10% slower due to its slower GPU. The SATA III SSD made by Samsung performed comparably to the more powerful model. 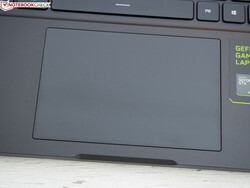 In addition, the notebook was equipped with a 1 TB HDD made by Western Digital. 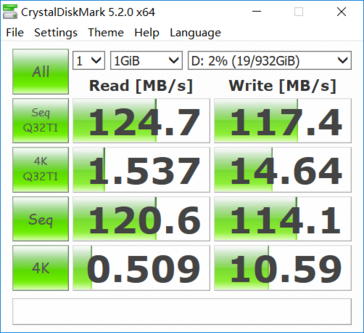 In our sequential hard disk benchmarks it turned out to be slightly slower than the GTX 1060’s Seagate Barracuda, but a bit faster in the 4K benchmarks in return. What HDD you are going to receive is going to depend mostly on the production batch and not so much on the purchase price or model. 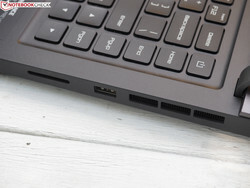 The entry-level model was equipped with an Nvidia GeForce GTX 1050 Ti, which was running at 1,658 MHz (boost) and thus slightly faster than specified by Nvidia. That said, some competitors featured even higher turbo boost speeds of up to 1,772 MHz (GPU-Z render test). 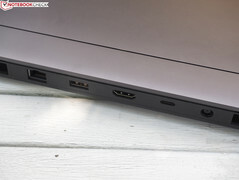 Due to the GPU’s average clock speed and the comparatively slow i5 CPU the Mi Gaming Notebook performed slightly below the average of all GeForce GTX 1050 Ti notebooks. The GeForce GTX 1060 model was clearly faster, for example up to 56 % in 3DMark FireStrike. Generally speaking the less CPU-bound a benchmark was the bigger the difference turned out to be. Some games required lower settings than on the GTX 1060 model. In the highest possible settings and in FHD, the GTX 1060 was up to 45% faster than our review unit. Just like CPU performance, GPU performance remained consistent over long periods of sustained load as well, as can be seen in our “The Witcher 3” benchmark results. The GTX 1060 performed much better, though. On battery, our review unit’s comparatively slow gaming components become advantageous for the first time. Compared to running on mains, our review unit only lost a few FPS in “The Witcher 3” on Ultra settings: 24.8 FPS (21 - 29 FPS) on battery vs 26.2 FPS on mains (-5%). Generally speaking the GTX 1050 Ti is overwhelmed by more demanding games and is incapable of running them smoothly in high details. Examples include “Kingdom Come”, “Elex”, or “Final Fantasy XV”. For more details and examples, see our dedicated GTX 1050 Ti page. Just like on the GTX 1060 model, Xiaomi has chosen fan settings optimized for low temperatures and high volume. 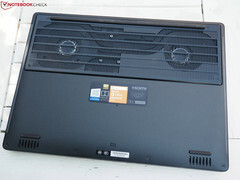 Even when the notebook was completely idle the fans were spinning quite noticeably. Noise characteristics were fairly unobtrusive though. Surface temperatures were comparable to the GTX 1060 model by and large. Ambient temperature was slightly lower, and so were surface temperatures. The GTX 1050 Ti should also have a positive influence on surface temperatures. Overall, the results were almost identical: pleasantly cool palm rests with a somewhat high temperature at the bottom (45.4 °C/~114 °F near the fan vents). Internal temperatures remained fairly low during our Prime95 and FurMark stress test. The GPU reached a maximum temperature of 67 °C (~153 °F) at 1,620 MHz, and the CPU maxed out at 85 °C (~185 °F) but eventually settled at 81 °C (~178 °F) and 3.1 GHz. We found no evidence of throttling. The biggest difference to the more expensive model is power consumption, particularly under load. When running “The Witcher 3” the 1050 Ti model was 35% slower but at the same time 46% more efficient. Under maximum load the power consumption was identical to the GTX 1060 model. We assume that the power supply was the limiting factor here. Battery life was very similar to the GTX 1060 model, which was not surprising given the fact that both notebooks were running on the integrated GPU thanks to Optimus. 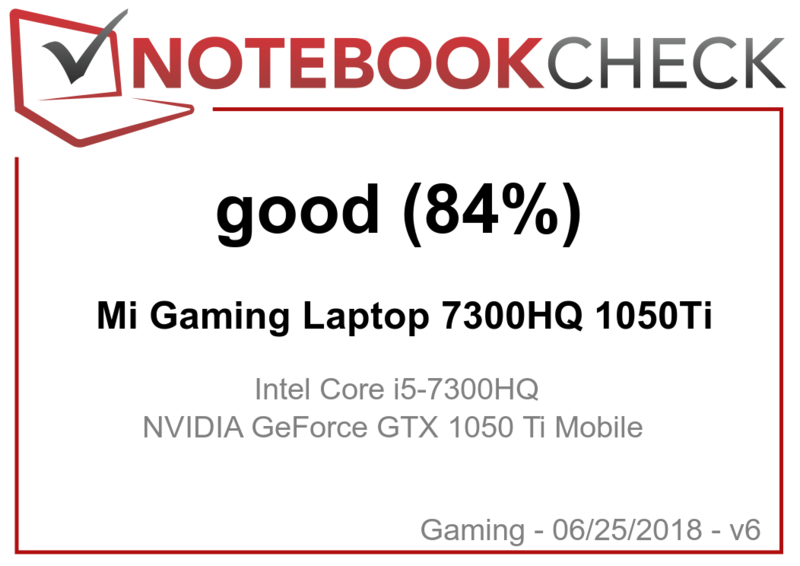 Compared to other gaming notebooks, the Mi Gaming Laptop performed average overall. We liked the entry-level model powered by a GTX 1050 Ti just as much as we liked the GTX 1060 mid-range model. As expected, gaming performance differed quite drastically. Accordingly, gamers are certainly going to benefit from the more expensive GTX 1060 SKU. The i5 CPU is the bottleneck in low resolutions and low details, but by and large it is a decent companion for the GTX 1050 Ti. When idle, the differences between the two models were negligible. While the fan did turn off every now and then, it never remained off for significant periods of time. Sometimes, it got pretty loud, even without any load whatsoever. We would have preferred if Xiaomi would have optimized this further. 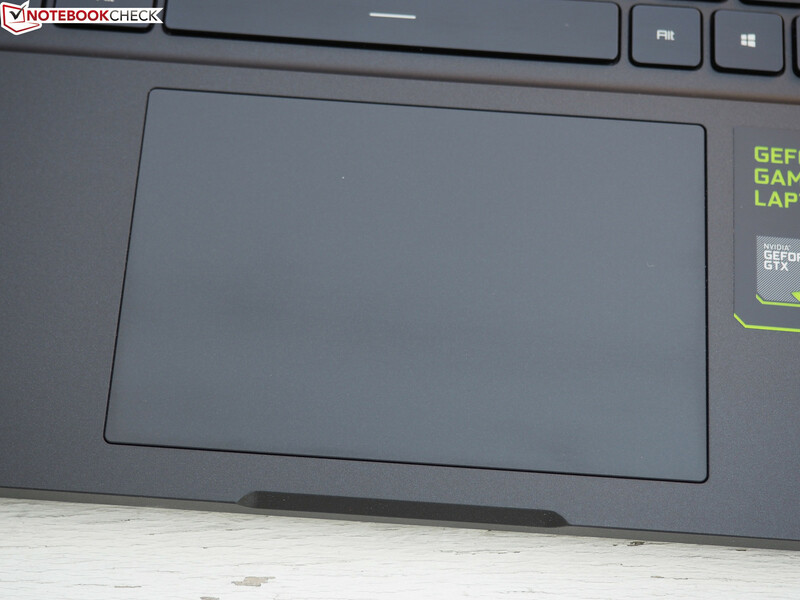 We still like the high-quality case, the clean design, and the input devices. Another thing both units have in common is the import formalities, as they have to be individually imported from China. 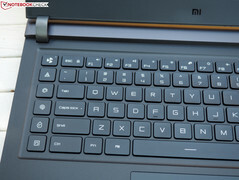 As we speak, the Mi Gaming Laptop is not yet available on either side of the Atlantic. When purchasing the device from China, you are facing the usual plethora of challenges: a Chinese version of Windows 10 without an easy way to change the language, warranty claims, and last but not least duties and taxes.